All civilizations have a cultural heritage. While traveling around Ancient Greece, we found out that a lot of mythology characters influenced people believes, their imagination and creativity. 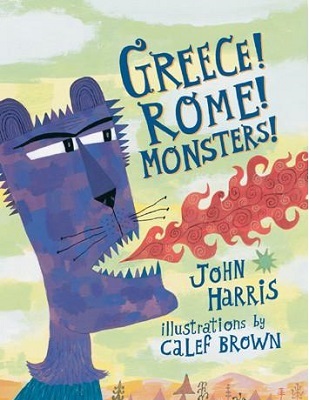 It´s been fun to see how some ancient stories are still essential, nowadays, to understand the world. The ancient world had so many monsters running around, with superpowers and meanings: Phoenix was a bird that would live forever. Every 500 years it would built a nest with fire and a new phoenix would rise out of the ashes. This was one of the favorite creatures chosen by Buddings audience and showed them that there was always a chance to start over! Everything can be seen in a extraordinary and unique way, the further that we are from the reality the closer we see ourselves. Only the Greek gods had fire. Prometheus thought that was unfair and he stole some from them. Zeus was not happy about that and he gave a magnificent wedding present to Epimetheus, Prometheus brother, and his future sister-in-law, Pandora. 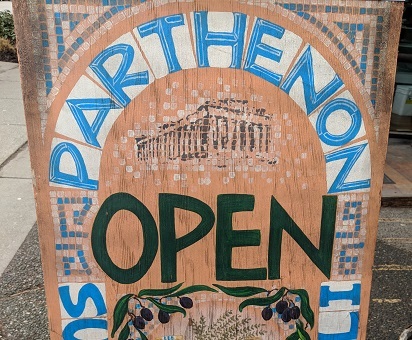 Zeus asked them to not open it and they promised it. One day, Pandora was extremely curious and decided to open the box! A flurry of trouble bugs such as lazy bugs, grumpy bugs and stubborn bugs flew out! 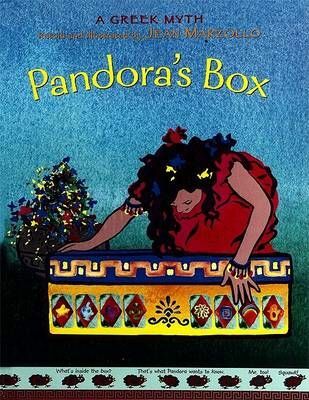 Pandora was sad but she saw something beautiful in the box: HOPE and she could save it from the bugs. After all, Zeus put a great thing in the box and gave Pandora CURIOSITY. People also kept the fire! Perhaps what happened was already planned! It was in the ancient city of Olympia where the oldest sporting competition was born. 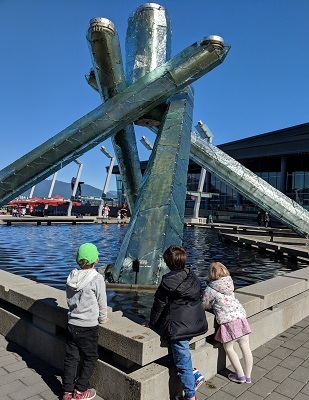 In March we went to the Olympic Cauldron at Jack Poole Plaza and we talked about the games that united the whole world. As the best athletes, Big Kids practice long distance jumps! The Olympic flame is transported by relay to the place where the competition will be celebrated and it burns until the end of the games. We remembered some of the words that we found on plaque next to the Plaza´s monument: "The flame symbolizes peace, friendship and respect"
April 16: Tour at Sole Food Farm! We will understand how powerful is being involved in a project that benefits the community! April 23: Happy World Book Day! 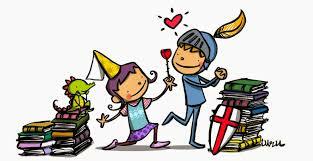 We will celebrate Sant Jordi with roses and theater in Connaught Park! Once upon a time, a hungry dragon frightened the people in valley. Once the beast ate all the animals, they decided to give it a person every day. There was a draw among the population and the destiny wanted the princess to be the first person to be eaten by the dragon. When she was going to be swallowed, a knight with a long sword appeared and saved her! He was Saint George! At the place where the dragon poured out its blood, a rosebush with red roses grew. In April 23, Catalonia is dressed up with books and roses. The tradition is that men give a red rose to their beloved women and women give a book to their beloved men! Join us on Tuesdays at Buddings on Broadway from 1-4pm and discover what we can built together!